Up to $8.8 billion worth of patented American technology was stolen by a Chinese state-owned company and its Taiwanese partner, according to United States Justice Department charges unsealed this month. The victim was the Idaho-based Micron Technology Inc., the U.S.’s largest memory-chip manufacturer. 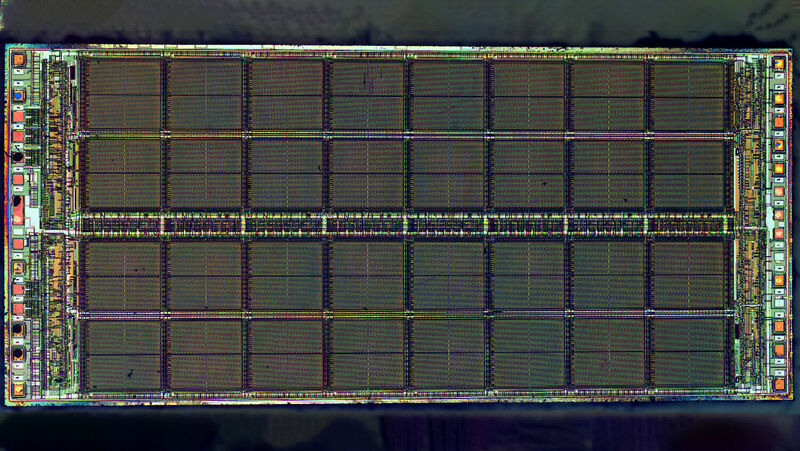 Over the years, Micron has invested billions of dollars to develop dynamic random-access memory microchips, or dram chips. These are vital components of most electronics, such as smartphones, cars and tvs, and Micron is America’s only dram chip maker. Some 70 percent of the company’s $30 billion in revenue each year is generated by dram chip sales. China has, for years, bought Micron’s dram chips for use in its electronics. But in 2016, the Chinese government said weaning itself off dependence on foreign technology, partly by making its own dram chips, was a national security priority. That same year, the Chinese government gave $5.7 billion to a start-up called Fujian Jinhua Circuit Co., whose sole purpose was to design and develop dram chips. Fujian Jinhua had funds and factory space, but no viable knowledge about how to build the high-tech dram chips. So it partnered up with Taiwanese firm United Microelectronics Corp. (umc) to provide the technological know-how. But umc also lacked the necessary knowledge. So, according to court documents filed by American and Taiwanese prosecutors, umc vice president Chen Zhengkun looked to Micron employees for help. Chen had previously worked for Micron Memory Taiwan Co., a subsidiary of Micron, and he enlisted former co-workers to leave the firm for lucrative jobs with umc. One Micron Memory Taiwan Co. employee brought with him “trade secrets pertaining to the prior, current and future generations of Micron’s dram technology,” the prosecutors said. Another recruit illegally downloaded “900 confidential and proprietary files” from Micron’s servers and handed it over to umc. Among the pilfered files were dozens of spreadsheets of exact design specifications for various dram products. Micron’s lawsuit says one of Chen’s recruits spent his last few days at Micron Memory Taiwan “in a frenzied dash to pillage as much of Micron’s confidential data as possible.” The stolen trade secrets “covered the gamut of technologies necessary” for umc to provide Fujian Jinhua with the information necessary to reproduce Micon’s dram chips. Yet the most alarming aspect of the incident is that it was not altogether unusual. In recent years, theft of America’s commercial technology and intellectual property has become a pillar of China’s economic growth. “They want technology by hook or by crook,” John Bennett, the special agent heading up the fbi’s San Francisco office, told the LA Times on November 16. Altogether, China’s intellectual property thefts cost the U.S. between $225 billion and $600 billion each year. On the high end of that estimate, that is $1,870 for every man, woman and child in the United States—each year. A look at the politics, entertainment, education, industry and even religion in the U.S. and UK today shows that God is being rejected in most every facet of life. In ordinary circumstances, Schumer would be correct in saying this ongoing, nation-threatening thievery of the U.S.’s most prized knowledge and assets “makes no sense.” But since the U.S. was specifically prophesied to have its “fruit” and “labors” devoured by an enemy nation, the pattern playing out today makes perfect sense. America is rejecting God. As a result, God is letting America become “oppressed and crushed” by a foreign power, exactly as He warned in Deuteronomy 28:33. But Bible prophecy doesn’t stop there. The same Bible that accurately foretold modern America having its “fruits” and “labors” devoured by an enemy nation also says that thievery will not be allowed to go on indefinitely! Isaiah 65:21-23 discuss a time in the future when Earth is ruled under God’s perfect government, instead of under mankind’s flawed governments. At this time, systematic theft, like the type that China engages in today, will have been relegated to the dustbin of history. To understand more about China’s role in Bible prophecy, and the time of peace and justice that is on the horizon, order a free copy of Trumpet editor in chief Gerald Flurry’s booklet Isaiah’s End-Time Vision.